Did you ever invest a lot of time and energy doing something you loved? Do you still do that thing? For the first 18 years of my life, I was trained in classical ballet and modern dance. I want to reflect on the years of my life that I spent learning the discipline of dance and the purpose of creative outlets in our lives. Lizzie is a recent graduate of Saint Louis University College for Public Health and Social Justice, transitioning her life from St. Louis to DC to work as a fellow for the de Beaumont Foundation. Lizzie’s favorite things to talk about are as follows: public health, behavioral science, stand-up comedy, racism, white people, community, and which is the best St. Louis brewery. 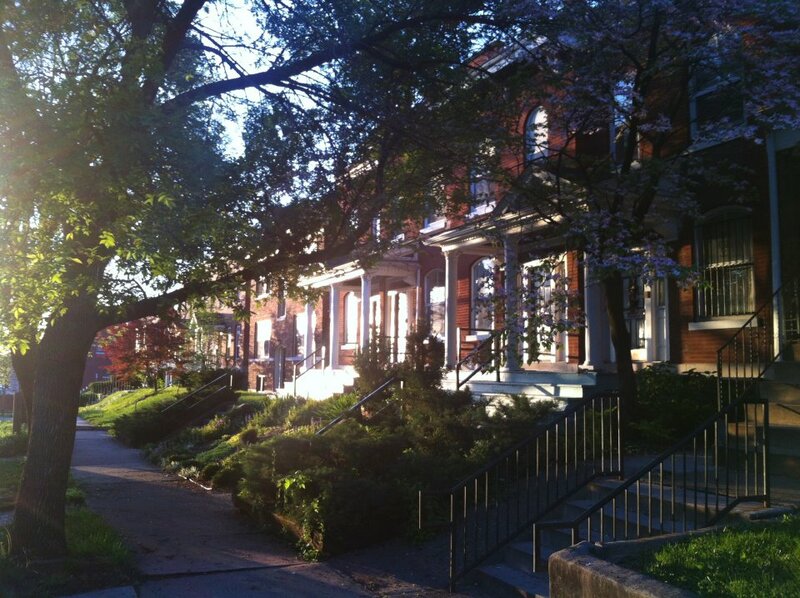 Join us Sunday 4 June… Potluck diner begins at 6:00 pm, Lizzie begins sharing at 6:45, at her home 4561 Shenandoah, Saint Louis 63110. 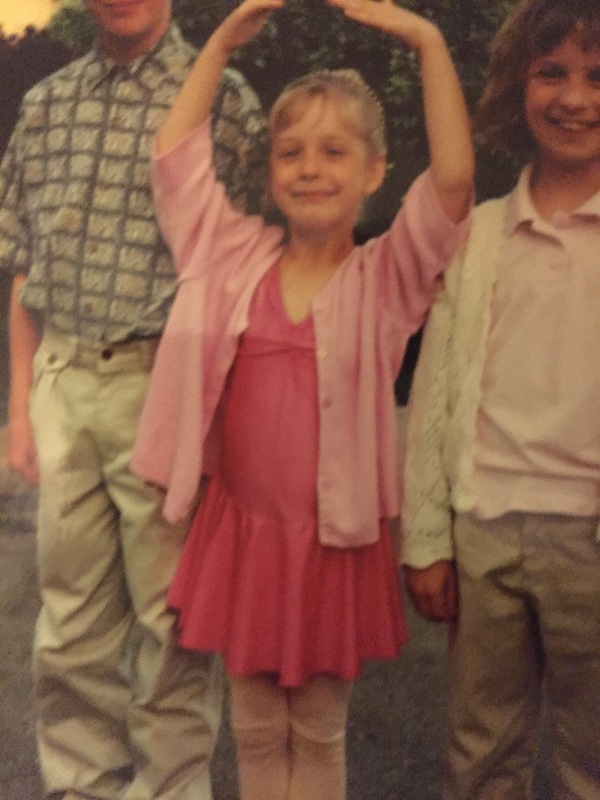 This pic is from when I first started dancing. I was 6 years old and we lived in Ireland. That photo was taken right before my first recital. I received your letter today about the online Good News class and your hand-written adaptation of Kipling’s famous poem. The fact that you have had “If” as a companion in your work and life at Casa Maria Catholic Worker reminds me of a short book I recently read. It’s titled, A Long Saturday, and it’s a translation of a series of interviews from French between journalist Laure Adler and literary critic George Steiner. Love everyone, feed everyone, and remember God. I recently gave Ram Dass’s Be Here Now to Laura, an exceptional Maryville University graduate and psychology major. Previously, I had mentioned to her that part early in the book about Richard Alpert’s growing disenchantment as an upwardly mobile psychology prof and his eventual breakdown/breakthrough with Neem Karoli Baba (“Maharajji”), who became his guru. I thought she might appreciate both the design of the book and some of the teachings, which she’d probably not come across in upper-level psych courses. Thich Nhat Hanh is regarded by many as one of the most skillful and pragmatic of spiritual teachers. In 2016 he published At Home in the World, a succinct autobiography of his ninety years of life in Vietnam and in exile. Filled with recollections, teachings, and practices, this book will be our guide for getting in touch with our own stories, wisdom, and resources for mindful living. 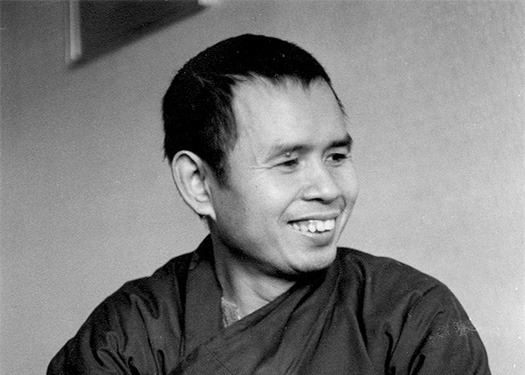 Thich Nhat Hanh has been a proponent of Engaged Buddhism for over sixty years. Martin Luther King, Jr. nominated him for the Nobel Peace Prize. He was a kindred spirit to the Catholic monk Thomas Merton and Jesuit activist Daniel Berrigan. He is the author of scores of books, including The Miracle of Mindfulness, Being Peace, and Living Buddha, Living Christ. He resides at his community, Plum Village, in France. Each class session will allow for quiet time, discussion of the book, writing practices, and paired and group sharing. Suggestions will be offered for further writing and experiments in the week between classes. A class blog will be available for sharing the fruits of our reflection, exchange, and writing. We will meet on the following six Wednesdays: June 14, 21, and 28 and July 5, 12, and 19. You’ll need a copy of At Home in the World and a notebook or laptop. Our meeting time will be 6:30 p.m. to 8:15 at my home, 4514 Chouteau Avenue in Forest Park Southeast (63110). Tuition is $135.00. An on-line class will also be available for those interested ($75.00). Email me if you want to join us: markjchmiel@gmail.com. That is why I want to use short chapters, each with verselike heading, and very many such chapters; slowly, deeply, moodily unfolding the moody story and its long outreaching voyage into strange space. And to run up a pace of such short chapters till they are like a string of pearls. Not a river-like novel; but a novel like poetry, or rather, a narrative poem, an epos in mosaic, a Kind of Arabesque preoccupation…free to wander from the laws of the “novel” as laid down by Austens and Fieldings into an area of greater spiritual pith (which cannot be reached without this technical device, for me, anyway) where the Wm. Blakes and Melvilles and even spotty, short-chaptered Celine, dwell. Argentine Tango developed in the late 19th century in the working-class neighborhoods of Buenos Aires, which were teeming with lonely young men from Italy and Spain who crossed the ocean to seek their fortune, never to see their families again. 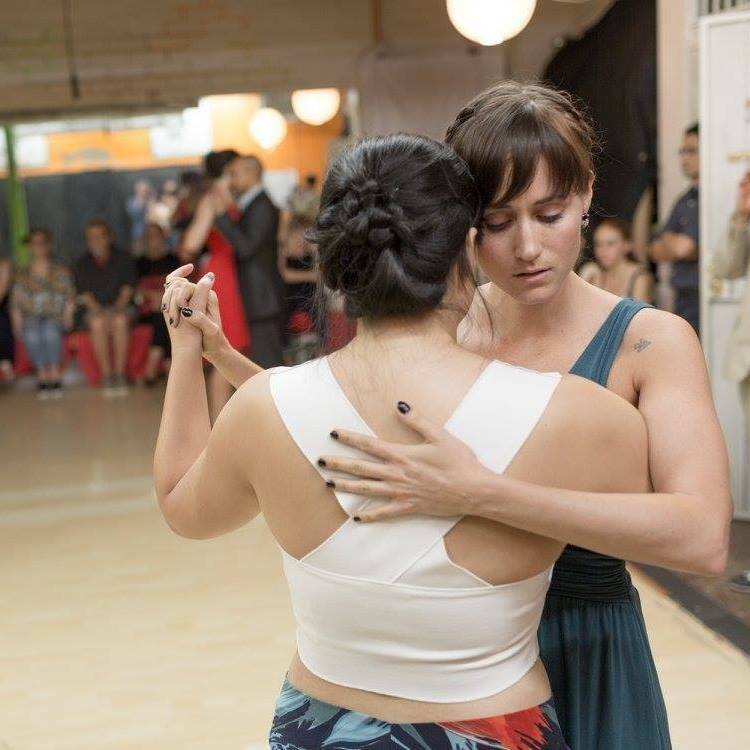 From this solitude and heartbreak grew the Tango: an improvised social dance with a technique born from the need to create and hold a warm embrace between 2 people. We’ll talk about the history of Tango; the fascinating particulars of Tango culture; and its practical applications for performers, feminists, practitioners of mindfulness, and anyone interested in becoming better at partnership. Magan is an actress, tango dancer, and small business owner whose passions all dovetail in an obsession with human connection. She attended Saint Louis University as a theater undergrad 2004, and begin her professional acting career in St. Louis after graduation. After completing an MFA in acting at the University of Tennessee-Knoxville in 2012, she moved to New York City where she was miserable for 2 1/2 years. There she started Hustle Creative, which provides bookkeeping and business management for creative entrepreneurs; booked some decent acting jobs; and began casually dating tango. She didn’t really fall in love until she moved to Los Angeles in 2015 and began taking classes with Oxygen Tango School that fall. She frequently visits St. Louis to do plays and will appear in Small Craft Warnings with the Tennessee Williams Festival St. Louis starting May 3. Potluck supper begins at 6:00 p.m.